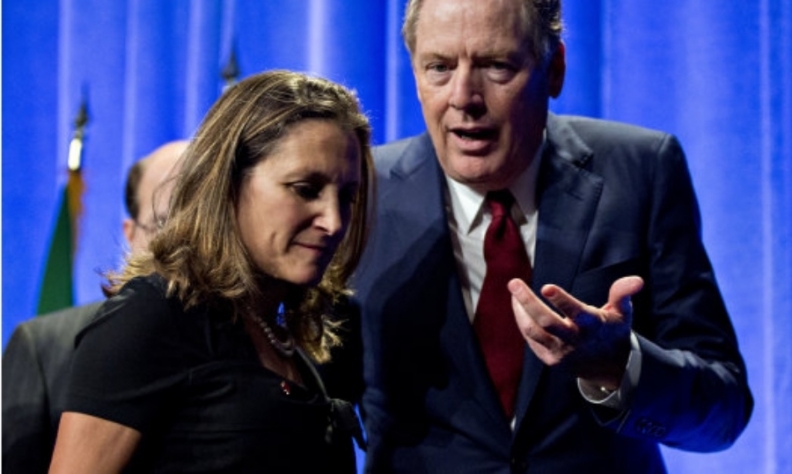 OTTAWA — As the United States tries to light a fire under NAFTA negotiations, Canadian Foreign Affairs Minister Chrystia Freeland says Canada will not be bullied or pressured by the United States as part of those talks. The steel tariff threat was seen by many to be an attempt by the Trump administration to pressure Canada and Mexico to complete the NAFTA talks — giving in to other U.S. demands or giving up some of their own —rather than risk the punishing steel and aluminum duties. The steel tariff investigation was launched to see the impact of steel imports on U.S. national security.